Product information "Brush Set for one stroke face paint 6 pieces in bag"
Brushes set in bag 6 pcs. 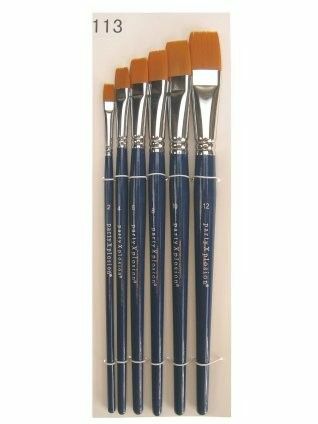 Face Paint brushes set of 6 brushes in different sizes. The set consists of greasepaint brush no. 2, no. 4, no. 6, no. 8, nr. 10, no. 12. Related links to "Brush Set for one stroke face paint 6 pieces in bag"
Customer evaluation for "Brush Set for one stroke face paint 6 pieces in bag"